It was always going to happen. There was going to be something as cute as the Ewoks in Star Wars – and trust it to happen in the ONLY Star Wars I haven’t seen yet. 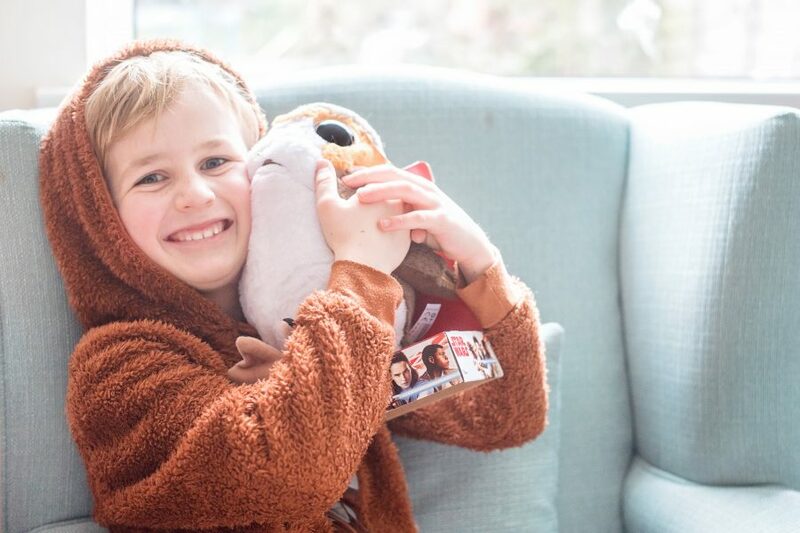 I’m the only one [besides Hero of course; Beans is too young to have seen it at the cinema and we feared he might start singing something during the important bits of the super-long film] who didn’t get to see it and so I missed the Porgs. 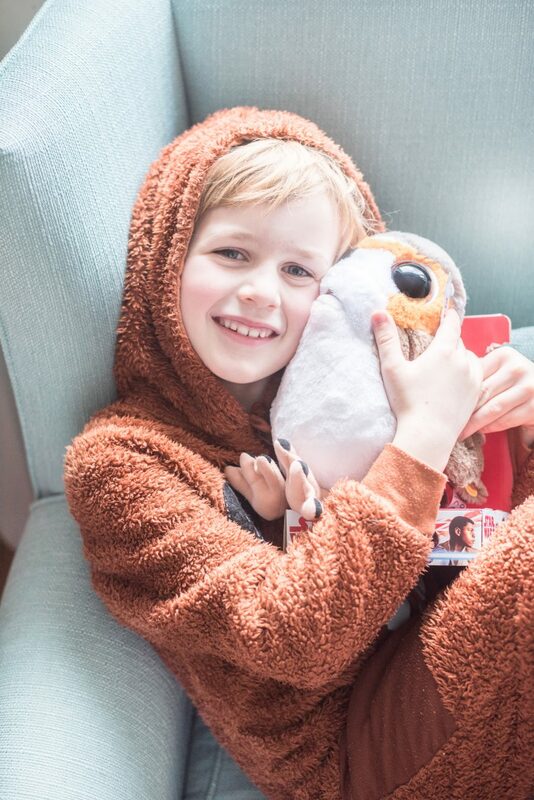 This week we were sent the Star Wars Last Jedi Porg Plush to review, and I smuggled him in from the Postman to leave on the boys’ bed for bedtime. He has been ADORED. Never was there a more pampered Porg. 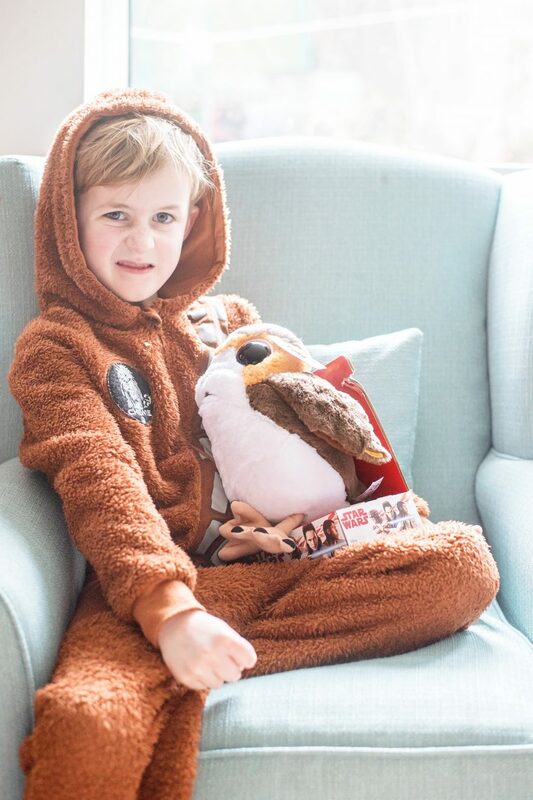 However, Yotie likes to dress in his Wookie suit as Chewie and [Jensen] Porg repeatedly annoys him [a job Jensen loves] because apparently, that’s what happened in the film. According to Yotie, he should be allowed to cook and eat Porg too. 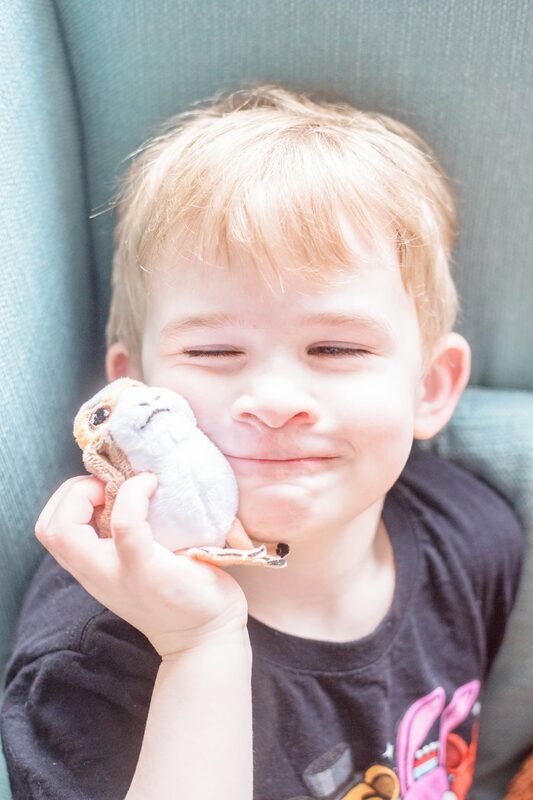 Porg is suitable for everyone aged 2 and up. He’s available at Argos for £14.99; the clip is £6.98. 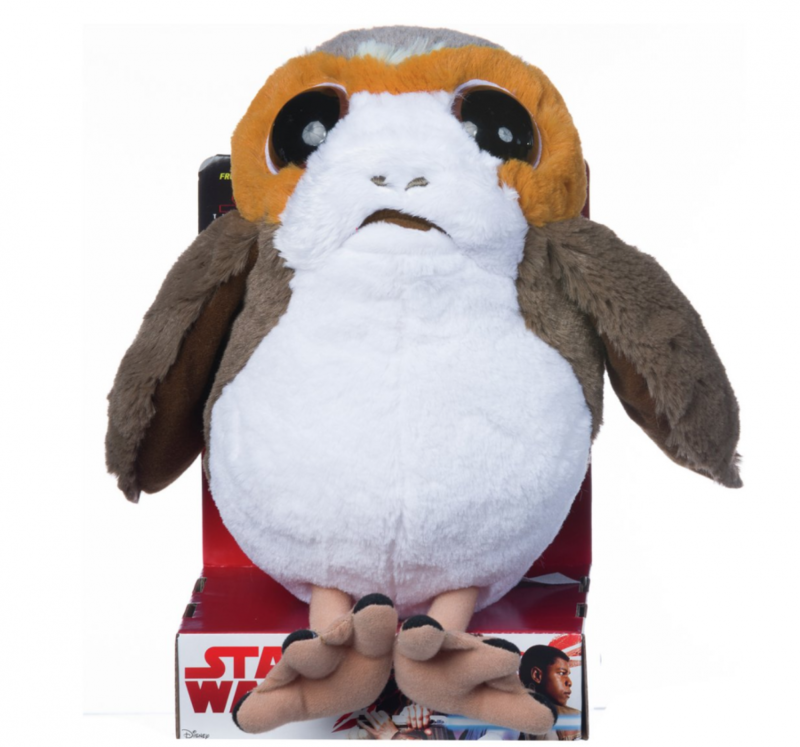 If you’ve got the room at the end of your bed, there’s even an 18” Porg Plush too! The cuteness! He’s beautiful and the boys love him. Lyoto has smuggled the mini Porg keychain away and claimed him as his own. 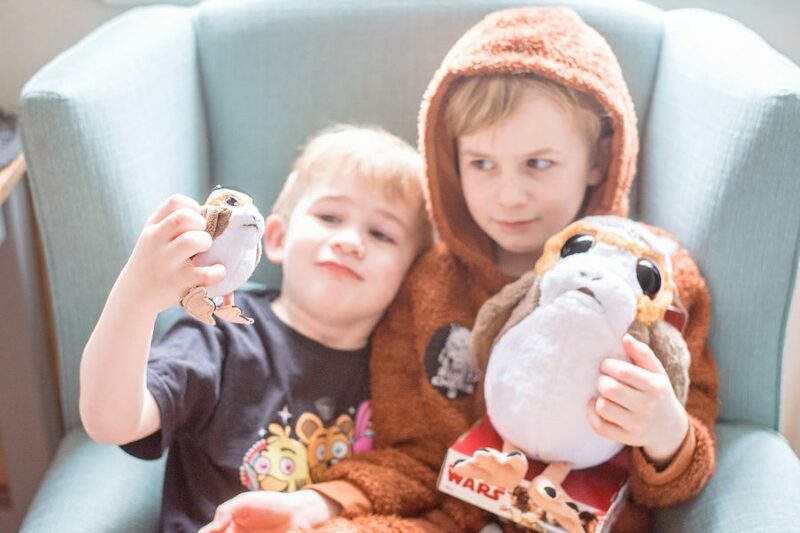 How Porg is a realistic size for the boys to role-play Star Wars with. 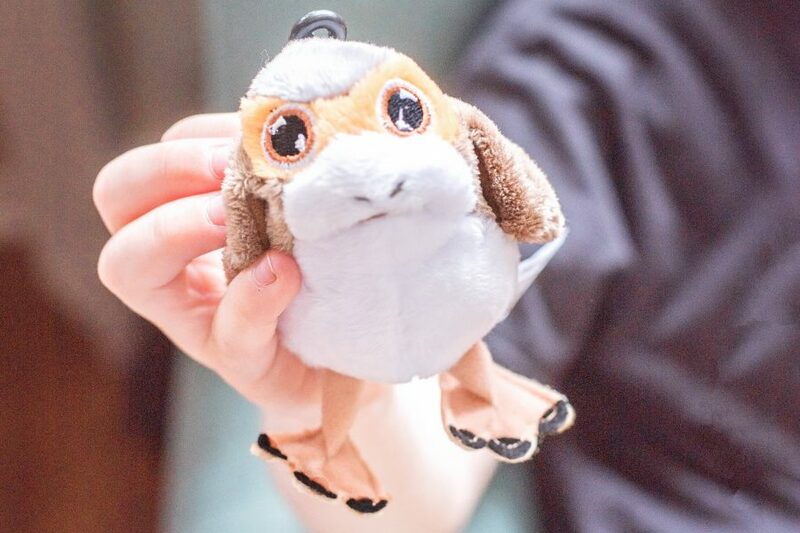 The softness of Porg is adorable. He’s squishy and fluffy and just lovely. That Argos would sell an 18″ Ewok too. Now that would be amazing. We love Porg. 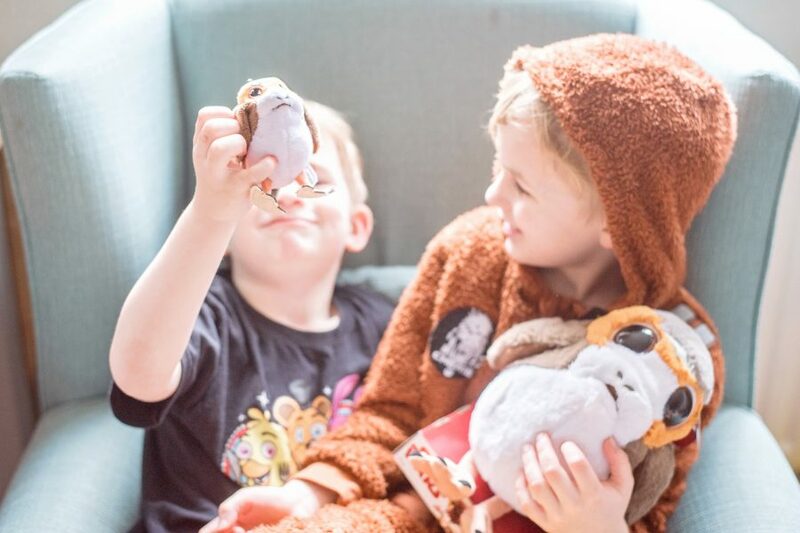 Even though I’m constantly battling to stop the boys having more soft toys, being from Star Wars I have a soft spot for the Porgs and they’re welcome here. I’ll even protect them from Chewie’s BBQ. Below is Jensen’s best attempt at being annoyed Chewy with a Porg. 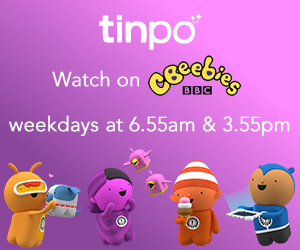 Oh that is one adorable soft toy! I have seen any of the Star Wars film but even I could find space for this little guy. Porgs are most certainly cute!